In India, Which is one of the most diverse countries with a complicated infrastructure GST is the first technology driven tax regime. 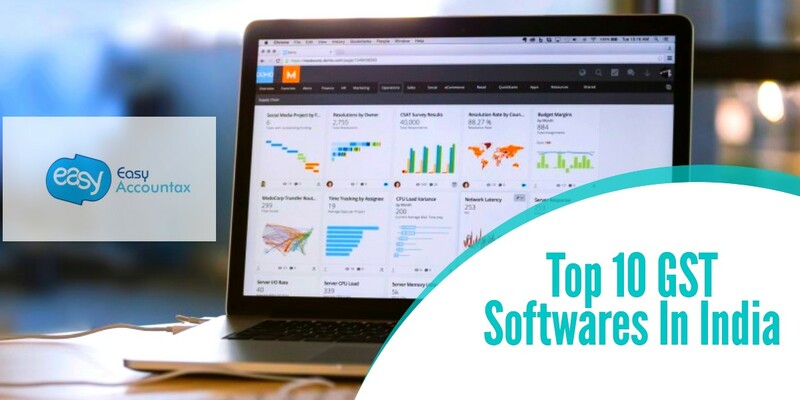 If you are looking for the best GST accounting software in India, then you have tended to the rig page, here we have jotted down the best GST ready software for small business and startups to tackle their GST confusion. Since the day of its Inception, GST has been an epidemic of confusion for the business owners in India. Moreover, after years debates, discussions, amendments the GST is the only tax regime that was implemented by the government, and every business needs to follow it. Here we have handpicked top 10 GST software in India that can help you with the GST compliance and take care of billing & accounting. 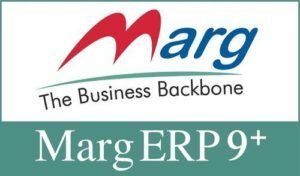 MARG ERP 9+ is one of the best GST software you can use for your business at an affordable price. Besides, the user interface of the software is convenient for beginners. The software also allows the users to convert the bill into various formats and provides the option to send them via links. The email option adds a hassle-free way to share the bills with customers. If you wish to secure your billing data and don’t trust thee adware storage then, Clear Tax is for you. 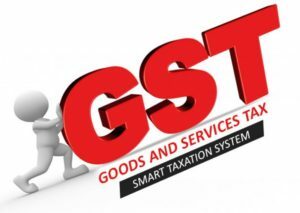 It is a cloud-based GST accounting software with internet connectivity for the users. You can easily create GST based bills and carry out accounting operations offline, and the software will automatically sync your data with the cloud storage. The software is accessible via mobile, desktop or laptop which makes it is one of the best GST software in India. Tally ERP 9 is one of the most advanced GST software in India that caters all your billing an accounting needs. With the Tally’s GST software you can easily create GST invoices/bills for your customers with multiple items and multiple tax rates. Besides, Tally ERP 9 is much more than just GST invoice building software; it takes care of all the other billing and accounting actions. The software also takes care of the branch charges, reverse charge scenarios, advance receipts and export invoices. Quickbooks is quite popular in India and considered as one of the best GST software to handle your business account. The software comes with a user-friendly interface that everyone can understand and access easily. Creating and sharing GST invoices can be done effortlessly in the software, and it also allows you to monitor tax credit so you can save money for your business. The company has released an online GST ready version for the small business that is customized according to their billing needs in requirements. The flexible GST software not only helps the businesses to create GST invoices but enables to track cash flow, expenses, and not categorized their income or expenses with a dedicated feature. 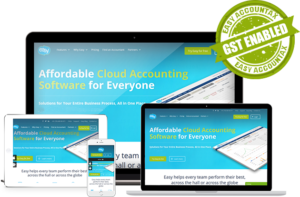 Here is another flawless and great GST software available you can use for your business. 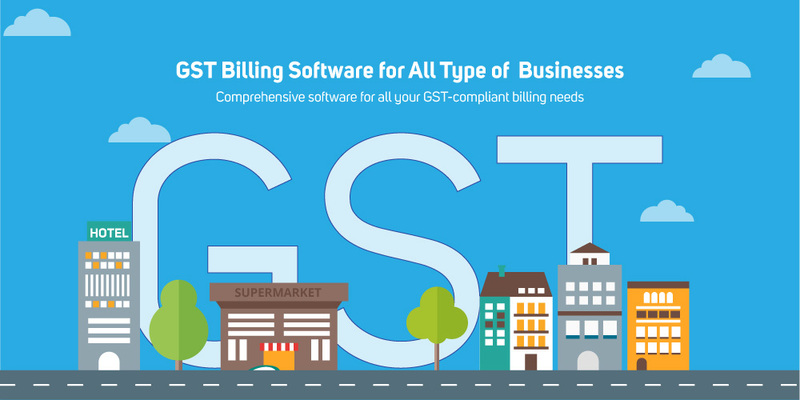 The Software comes with all required options and features to keep your GST billing cycle running. Moreover, with the software you get additional features to manage your business accounting actions like advance invoicing, tracking cash flow, monitoring the tax credit. 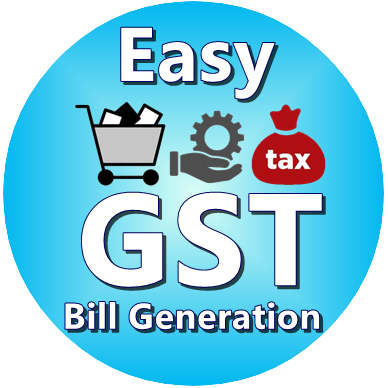 Due to its friendly user interface and plenty of accessible features, EasyGST is counted among the best GST software in India. Whether you own a micros, small or medium business, Busy Accounting Software got it all. It is one of the best GST ready software for generating advance invoices and managing the business accounts. The user interface of the software is intuitive, and you can quickly generate invoices with customized options. Moreover, you can easily manage your accounts, finance, credits along with VAT and CST reports. It is another GST ready software in our list that you can integrate to your business for hassle-free invoice generation. The software lets you effortlessly generate GST invoices with different tax rates and multiple items quickly. Along with this, it is very convenient to keep track of all your account details including cash flow, and monthly expenses. Reac GST is an ideal software of the SME’s to deal with their billing actions depending actions. The software comes with the functionality of multiple user-handling profiles for the business. You can generate GST invoices and can also share with them with the users via mail easily. If you are still in favor of offline GST ready software, the GEN-GST is specially designed for you and your business. The software allows users to prepare GST returns for consumers without accounting. Besides the software can also extract data from any software, the software works without any internet. Sai GST may be listed last on this list, but it is not the least, the software is explicitly designed for CA and businesses who want to manage their GST returns. The accounting software works online and automatically synchronize all the bills and details between the suppliers and vendors. If you own a shop or any other commercial establishment in India then you must apply for a Shop and Establishment License within 30 days to the Chief Inspector. You can also apply for the license by filing an application in your respective state. The application form must contain the name of the employer, address of the establishment, the name of the establishment, the category of the establishment, number of employees and other admissible details as desired. 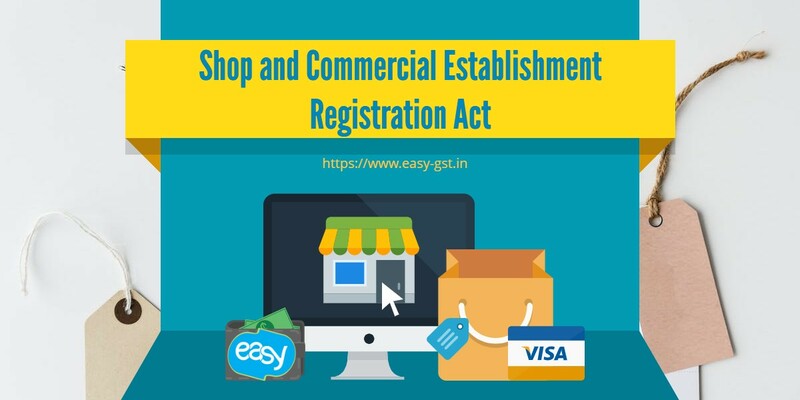 What is the Shop and Establishment Act? Shop and Establishment Act regulates the condition of work and enlists the right of employees in an unorganized sector. This Act is not restricted to the commercial establishment but also applicable to societies, charitable trust, educational institutes and any other establishment which runs on the motive of earning a profit. The Act also offers the obligations of an employer. The very first requirement is to obtain a shop act license from the concerned authority under the Act. Areas include working hours, holiday, overtime, leave policy, work policy, etc. The Act comes under the authority of the Department of Labor and it supervises and administers any establishments wherein any trade, business or profession is carried out. The act keeps a close eye on commercial establishments and also the working of the societies, printing firms, educational institutions and other premises which undertake banking, insurance, stock or share brokerage. In India, The Shop and Establishment Act may slightly differ from state to state as each state follows their separate operation. What are the documents Required for Shop and Commercial Establishment Registration? After obtaining the Registration Certificate if there is any change to be made then the same should be notified to the Chief Inspector. For any reason, if you fail to obtain shop act license under the act then you need to pay the penalty for the same. In India, The Shop and Establishment Licence is mandatory to display while carrying out day to day business. You need this license during all the stages of Business registration. Make sure you have this license for your business. 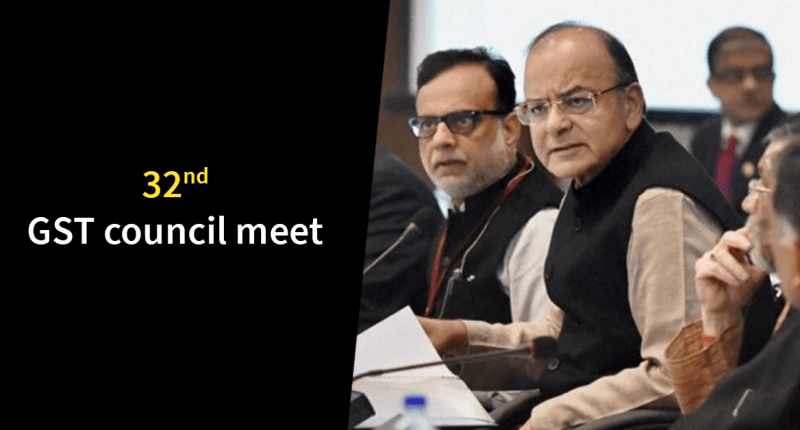 The GST Council meeting was held on 10th January 2019 in New Delhi to bring some benefits to medium and small-scale enterprises (MSMEs) with regards to GST exemption and permitted 6 % composition scheme for the services sector. Addressing a press conference after the 32nd GST Council meet, Finance Minister Arun Jaitley declared that the services sector will now be eligible for benefits under the composition scheme, which was only applicable to manufacturers and traders earlier. The limit for the suppliers of goods i.e. Rs. 40 lakhs and Rs. 20 lakhs for exemption from registration and payment of GST. States would be given an option to decide about one of the limits within a weeks’ time. However, the threshold for registration for service providers would continue to be Rs 20 lakhs and in the case of Special category States Rs 10 lakh. A composition scheme will be made available for suppliers of services with a tax rate of 6% (3% CGST + 3% SGST) whose annual turnover in preceding financial year up to Rs 50 lakhs. The said scheme shall also be applicable to both service providers as well as suppliers of goods and services, who are not eligible for the presently available composition scheme for goods. The limit of annual turnover in the preceding financial year for availing composition scheme for goods will be increased to Rs 1.5 crore. Special category States will have to decide within one week about the composition limit in their respective States. Those who come under the composition scheme or want to avail it will have to pay tax on a quarterly basis as only one return has to be filed during a year. Meanwhile, the Council is yet to take a call on the real estate sector. Jaitley said that a 7-member GoM has been constituted to discuss ways to tackle issues in the ailing sector. GST Council also approved the levy of cess on the inter-State supply of goods and services within the State of Kerala at a rate not exceeding 1% for a period not exceeding 2 years. Similarly, if any state faces a natural disaster may approach the GST Council to demand a similar solution. When asked whether there will be further rationalization of GST slabs or tax rates, Jaitley said further rate cuts can be discussed only when there is a rise in revenue collection. Proposal for giving a composition scheme to boost the residential segment of the real estate sector. GST rate structure on lotteries. All the changes made by CGST (Amendment) Act,2018, IGST (Amendment) Act, 2018, UTGST (Amendment) Act, 2018 and GST (Compensation to States) Amendment Act, 2018 along with amendments in CGST Rules, Circulars and notifications issued earlier and the corresponding changes in SGST Acts would be alert w.e.f. 01.02.2019. Today selection task has become simpler with the availability of accounting software packages as they are designed for particular industries like medical practice, construction, consulting practice, etc. You can run your business and adjust your setup absolutely as per accounting software packages. Though it is viable for a great many people to deal with their own funds without particular programming, dealing with a business is significantly more tedious without the assistance of bookkeeping programming. You don’t need to be a financial expert to use these systems because their interface is quite user-friendly so with just a bit of knowledge and practice you can use the software effectively. A quality accounting software system can really help you save a lot of time compared to manual bookkeeping. The package can process front end documents as well as back-end transactions simultaneously. For instance, you can create customer invoices, prepare bank deposits and write checks in the program, with the added benefit that the system records each transaction for you. We all can easily manage all over the working of accountancy within a few times. In a manual accounting framework, the general record is accommodated toward the end of the year and purifies for every record are assembled to make an arrangement of money related proclamations for assessment and administration purposes but in an electronic bookkeeping framework, monetary articulations for any time frame can be created with the snap of a catch. This gives a business director to survey an organization’s monetary execution continuously and address worries before they get to be risky. This will allow the company to monitor the financial records of the business and resolve issues early before they balloon into big problems. Manual accounting increases the chances of errors in the calculation but you can avoid this by opting for accounting software which automatically performs all calculations accurately. This is a big benefit mainly if you need to prepare detailed invoices in which specific items or worked hours are billed at various rates. For that, you can simply pick the items for invoicing, enter the required data, and the system will do rest for you. Accounting systems can provide detailed reports on your business processes and it can help you track the money flow in your organization. At any time you can get a clear picture of your costs and revenue. You can calculate your profits more easily and learn which customers generate the most revenue for your company. Leading accounting solutions available in the market offer in-depth actionable reports whose range depends only on the type of information you enter in them. Hence, these reports can help you make smart decisions, and operate your business more efficiently and productively. Your accounting software can also calculate the tax amount that needs to be paid on each invoice. Along with this, you can also get detailed reports on the amount of tax your company has paid during a given time period. Thus, you can get all the information which you need to prepare and file tax forms stipulated by the government. Advanced systems will let you e-file tax returns from within the product. New or small businesses are probably likely to use manual accounts or a combination of manual and computerized systems until their accounting needs become more complex. Based on your business you need to select your accounting system so that you can get the best result. If you already have your hands on accounting software solution then feel free to share with us the advantages it offers for your individual practice or company. Today, every business needs a new billing management system, which should work according to the new tax regime of India. For this, many companies like ClearTax, Tally, and Marg Accounting has introduced their new billing software, which has been developed completely based upon the new Goods and Service Tax guidelines. A billing and invoicing software help businesses perform automated calculations, keeping taxes in mind. Additionally, they are also useful for bookkeeping and record-keeping purposes. 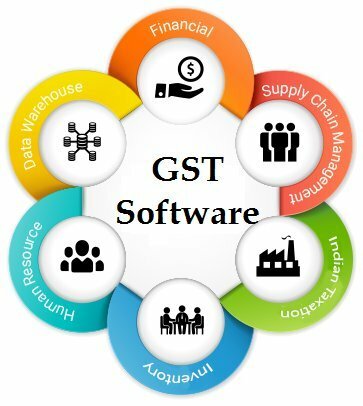 How To Find The Best GST Software? 1) Software should include all requirements relating to payroll. 3) There should be a provision which can handle more than one bank account. 4) Whether the software handles foreign exchange. 5) There should be a system to keep records of each business or various departments under one business unit. 1) According to the business, it should customize the look and generate GST invoices. 2) Different categories. Should be there for different expenses. 3) By importing the bank transactions it should generate the Reconciliation Statement (BRS). 4) Inventory purchases and purchase orders (PO) will be recorded. 6) Managing database of customer and vendors. 7) Updated information about accounts payable and accounts receivables so that the user is well aware. 8) Help in generating Balance Sheet, Trial balance reports, and Profit and Loss statements as for and when needed. 9) Give platform for different users to use it in a business unit at the same point in time as at times there are different users in one business unit. 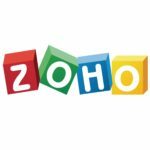 Zoho Invoice is a hassle-free invoicing & billing software that helps businesses send automated payment reminders to their customers and get paid faster online. This web-based solution empowers businesses with the best-automated tools, to smoothen and simplify invoicing operations. With Zoho, users can create invoices, perform faster payments and manage projects on the fly. Quickbooks is a reliable and scalable invoicing and billing software for businesses of any scale. Using Quickbooks, users can manage their business and stay organized anytime, anywhere on their computer, mobile or tablet. 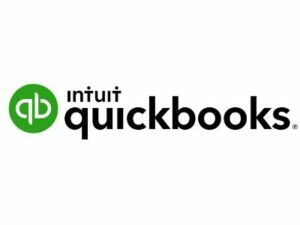 Create customized and professional invoices, sales receipts and estimates that can be sent in minutes, using QuickBooks. 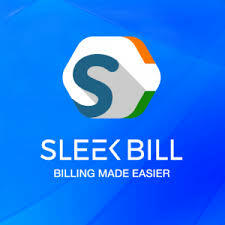 Sleekbill is a simple and efficient billing software which has been specially designed for the Indian market. The software assists in making your invoicing operations efficient. It is a fast and highly scalable solution which can also be used to generate quick and detailed reports, backup/restore data, print/e-mail invoices, and perform GST calculations. HDPOS Smart is a retail POS billing software, designed to automate retail billing. It is efficient at handling inventory, financial accounting, and billing. HDPOS Smart can be employed at all types of business setups, ranging from stores to hypermarkets. It has additional modules for inventory management, franchise management, accounting, customer management, etc. MargERP 9+ is an ERP solution that can also be used for invoicing purposes. From automating various ERP components to ensuring complete management of inventory, sales, distribution, procurement and, accounting, MargERP is a complete invoicing and billing software. Simple and easy to use, MargERP 9+ enables users to attain high performance and improved productivity for various domains. If you own medium-sized business, all these tasks can cause a huge headache. A billing and invoicing solution will not only help businesses ease their payment processes but also get a better grasp of their finances. In turn, businesses can use this data to improve their different financial processes to make them more effective. Which one is your favourite GST software? E-Way (Electronic way) bill is a document required to be carried by a person in charge of the conveyance carrying any goods of value for more than Rs. 50,000. It was introduced earlier this year with an aim to make the interstate movement of goods smoother, swifter and easier. 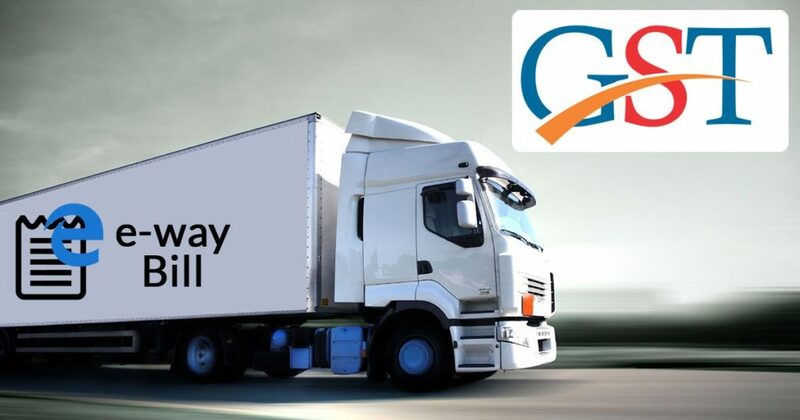 An E-Way bill is created via GST common portal for E-Way bill system. Movement of goods for some reason apart from the supply of goods, e.g., sales returns or movement for repair of goods, free of cost supplies, etc. Domestic acquisition of goods from an unregistered person. Import of goods from outside India. The user has to enter the input based on the Pin Code and the E-Way Bill system will auto-populates the state. If the pin code has reference to multiple states then the taxpayers can select the suitable state by clicking. Now, we have an error-free system which will auto validate tax rates entered by the user. Though it is not mandatory for the system user to feed tax rates if they do so then the system will cross check with standard rates which are fixed by the GST Council. A consignee needs to carry proper documents of supply of goods for a stress-free transportation. The E-way Bill contains the fields to select document types and the taxpayer can enter the type of suppliers and buyers involved. In case the bill is being generated by consignees columns related to ‘From GSTIN (Supplier)’ and ‘To GSTIN (Buyer)’ validations will change accordingly. If a consignment has multiple legs supplier then he will need to input details of the first leg of movement only. Unlike the present practice, the supplier does not have to fill Part-B details. The consignment legality and movement for the remaining leg of the journey would be considered valid. Your E-way Bill will auto calculate the distance (in KMs) between source PIN code and destination PIN code. This process will make your data entry easier as it will auto-populated on the entry of source PIN code and destination PIN code. Your E-way Bill System will also check and alert you against multiple E-way Bill generations for a single invoice number. The consignor would be permitted to carry with the multiple e-way bills practice if and only if original invoice with the correct number is available and validated. Now, E-way Bill System will auto capture details of Bill To – Ship To’ Transactions. These are those transactions where the invoice and the consignment are shipped to two different entities. The person who receives the invoice from the supplier then sales the product/consignment to a third party further gets it delivered from the supplier itself. Post the upgrade, it will be compulsory for those who use API and other Offline tools to include information related to Form GSTR-1 with the E-way bill basic data to produce e-way bills. Hence, we need to implement technology-based solutions to manage our compliance with E-way Bill to mandate our business. This will make everyone aware of the importance of putting such solutions in place for organizations and that doing so will significantly enhance the efficiency of our operations. Our business needs to closely monitor new developments in the E-way Bill compliance process and quickly adapt to changing requirements. A recent GST Council meeting was all about discussions on providing a more simplified set of return forms. The new layouts for GST Return Forms have now been approved by the Central Government and by the GST Council. From FY 2019 these new set of GST return forms will be applicable. Unlike the previous ones, now the new forms will be less prone to human error and also a simpler form structure comprising of at max 5 to 6 tables. 80% of the form will be auto-populated and this will include sections such as details of supply and purchase/input details. Further, the information will be auto-populated based on the invoices uploaded by the taxpayers. Moreover, most of the data will be auto fetched and dealers will be required to fill the remaining 20% details only. Across the country taxpayer and trader, the community has a common complaint that the tax filing procedure in itself taxing. To fill returns it required an internet connection and also a desktop or laptop system which ultimately increases the expenditures for traders and taxpayers of buying system, electricity, internet connection and maybe manpower (if needed). But not any longer now A welcome change is seen in a new return filing method through SMS and will the facility to allow taxpayers to file their GST returns through SMS will begin. The good news is that from next FY onwards the Central Government will do away with the existing multiple returns with a single return filing. Currently, the list of mandatory return file forms under GST include the likes of GSTR-1, GSTR-3B, GSTR-2A (for reconciliation purpose), etc. All these will be replaced with one. While earlier India’s PPP makes it difficult to implement a true one nation One Tax structure, a lot of hue and cry was directed towards the excessive compliance burden the GST framework imposed on the taxpayers (especially honest taxpayers and medium to small-scale traders). Unlike the current forms, the new single form will also enable amendments. The maximum number of amendments/changes that can be made will be limited to two though. Additionally, taxpayers will also be able to report negative balance or liability. Approval/Acceptance by Recipients of goods or service. 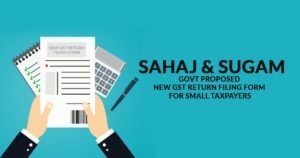 The GST will also make room for new provisions like the Sahaj and Sugam schemes for dealer along with new return forms. Currently, dealers with an annual turnover of fewer than 5 crores file quarterly returns and such dealers can either continue with quarterly returns or they can opt for a simpler two return system which is Sahaj return and another one is Sugam return. Sajah return is for B2C suppliers. With less number of fields and easy to file it has become much simpler. It will be filed monthly. For those who are involved in both B2B and B2C supplies, they can opt for Sugam. Rest of the process is the same. The Sajah and Sugam are only available to dealers with less than 5 crore turnover. In case the recipient fails to pay the due amount to the supplier within 180 days from the date of issue of invoice, the input tax credit availed by the recipient will be reversed, but the liability to pay interest is being done away with. These recommendations will now be placed before the Parliament and the legislature of State and Union territories for approval and amending relevant GST Acts. The new model proposes uploading of invoices by the supplier before 10th of next month that shall be subsequently posted in the viewing facility of the buyer by 12th of next month, who will then lock those invoices. The new returns filing model proposes single monthly return for all taxpayers except composition dealers, TDS/TCS and staggered return filing dates based on the turnover of the registered person. Also, taxpayers who still haven’t registered under GST will be given an extension up till 31st August 2018 and any late penalty would be waived off. 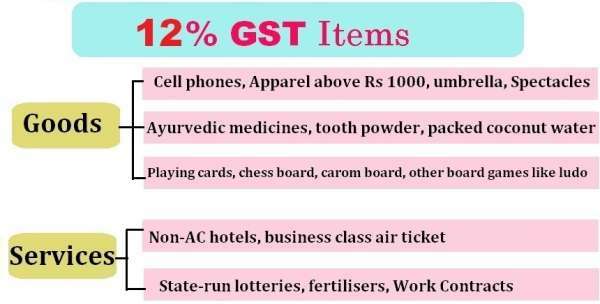 Relief for hotel industry as the 28% GST would not apply on tariffs less than Rs. 7,500 even though the printed rates are more. GST(Goods and Service Tax) in India is a much talked about the topic after it came in to force. It is the first bold step taken in the financial sector by the government of India under the rule and guidance of Prime Minister Narendra Modi. GST has replaced service tax, VAT, and Excise. As an Impact, GST will not only boost the economic growth but would make operations related to taxation smooth and simple. In order to abide by the process of GST Returns successfully, you will have to invest in GST Accounting Software India. When it comes to selecting offline or online software, one has to select based on accordance with their need. Both kinds of software have their own advantages. No matter which software you buy, you will always get something extra or advanced features. Most of the business use GST software for GST return filling, creating GST invoices and bill, Data import/export, etc. Based on your requirement you can always select software that suits most of your needs. When it is about finances, you always want to make sure that the system you are using is fully secured. The software is used to import and export crucial data about your business including money transactions and details of your clients and vendors. If you are using online software then double-check the security even though the application comes with proper encryption, passwords, and other security measures. It is always better to play safe. Customization is the key to future, in order to match the growing pace at which the economy is growing one has to stay updated. Your GST software should be easy to customize based on the needs of the business. The flexibility of the software is very important as it involves time and money. If you are using online cloud software then you need not worry, as the updations will be taken care off. 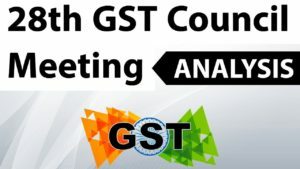 Software support is very crucial and in the case of GST, it is even more important as GST India is in the initial stage and might undergo various changes. Therefore, a strong support system is required at all times in order to make the system and processes run smoothly. Most of the GST software comes with the bundle of features that can manage your entire accounts including taxation, stocks, payroll, and Banking. However, based on your requirements you can make your selection. Many companies offer the free demonstration and free trials that allow you to understand the flow. If your requirement is too specific then you can opt for the customized GST Accounting Software India.